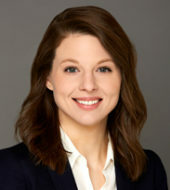 Dr. Jessica Rolincik is a licensed psychologist who provides individual psychotherapy for adults and young adults. She has worked extensively with individuals coming from complicated and diverse backgrounds, and has honed specific skills for supporting clients who struggle with depression, anxiety, interpersonal relationship difficulties, difficulty regulating emotions or managing distress, engaging in problematic or distressing behaviors, and general life transitions and stressors. She offers trauma-informed treatment for clients who may be dealing with any of these issues, including PTSD. In addition, she is able to provide an ADHD-informed approach to therapy that may benefit individuals whose social and emotional stressors emerge secondary to ADHD. Dr. Rolincik values creating an empathic, warm, and non-judgmental environment. She believes this is key to building a caring and collaborative relationship in which clients may feel safe to engage in the therapy process. This includes acknowledgement, discussion, and incorporation of all parts of individual identity that may influence a person’s lived experience. She takes an eclectic, flexible approach to therapy in which she uses DBT, CBT, relational, client-centered, and psychodynamic therapies to strive for a unique balance of practical skill building and increased understanding of how past experiences may influence the present. Dr. Rolincik received her bachelor’s degree from Boston College and her doctoral degree from William James College. She completed her pre-doctoral internships at Azimuth Psychological and Walden Behavioral Care, and went on to complete a postdoctoral fellowship in trauma and dissociative disorders at the Hill Center for Women at McLean Hospital.